This made me laugh when I saw it earlier today. 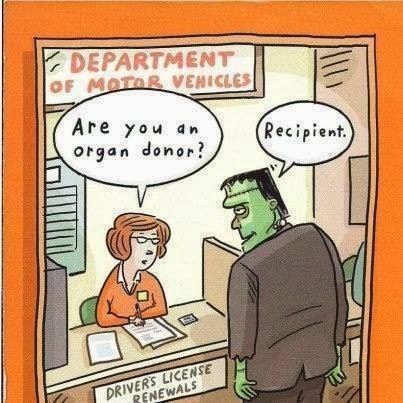 My passion for being an organ donation advocate grows in leaps and bounds by the day lately. I know it is because I watch so many in the cystinosis community go through such challenging times while waiting for a kidney match. It is never lost on me what an absolute miracle it was that my mom matched me. This week has been an absolute and genuine ride to say the very least. I'll elaborate more on that soon, but for right now so much is up in the air. I feel like the universe is driving it into my head that sometimes there are no answers and if you can make peace with that, you can do anything. Authentic gratitude hit me square in the heart tonight. The kind that is so bold and real that it knocks the breath out of you. Happy Halloween! I hope you made some beautiful memories today! 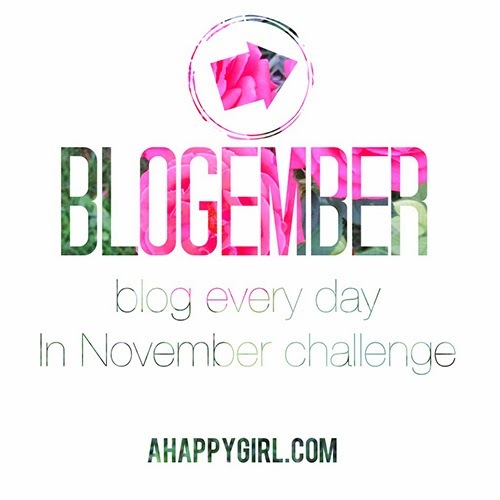 Can't wait for the blog every day in November challenge tomorrow! Come join us and link up in the morning. A good day is one when I get to watch our girl enjoying the small things. Reindeer jammies, messy hair, and leaf glee. My heart bursting with the knowledge of how blessed we are to be here together. Right now. A good day is one when I find inspiration at the pharmacy while exchanging smaller needles for my b12 shots. Any day in which you can say "smaller needles" is a good day, right? A good day is one when I treat myself to a pumpkin spice latte and cake pop at the hospital Starbucks after having 11 tubes of blood drawn. I feel hopeful tonight. Closer to answers and taking things one hour at a time sometimes. What makes up a good day for you? This is the first post in a new series I'm starting called Five On Friday. I thought it would be something fun to embark on! Every Friday I will have a list of 5 tips or ways to tackle a certain aspect of life or specific obstacle, or simply general lessons we've learned from our colorful path. 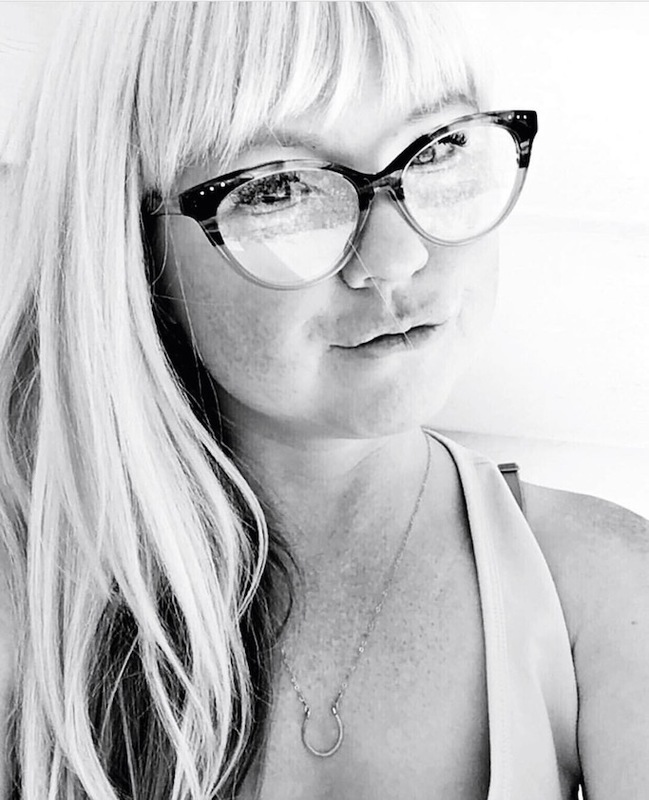 Upcoming topics include 5 Tips On How To Cope With A High Risk Pregnancy (I've only done it once, but I have a lot to share about that crazy beautiful and downright terrifying time), and 5 Things We've Learned from An Entrepreneur Life, to name a few. If there are any subjects you would like to see, please let me know! I would love to hear them. Today is all about getting out of a funk and finding your way back to yourself. From time to time it is completely normal to fall into a slump whether it is due to not so fun life circumstances that are challenging you, changes you are not quite ready for, or the simple routine of every day living that can wear you down over time if you aren't consciously building yourself back up each and every day. Here are some approaches to put to use next time you are feeling less than fabulous. Chase down inspiration like it is oxygen, because it is. Especially when you are not feeling your best. I know everyone is different, but I've noticed more often than not when I find myself in a funk, a vast majority of it is caused by lack of expressing myself creatively. Search pinterest for keywords that represent emotions you are aiming for, pretty scenery of places you've been (or places you want to go), and quotes that spark your passions and ambitions. I think a significant chunk of inspiration is also looking outside of your comfort zone for that push and motivation. Watch your favorite movies when the inkling arises. Read those books you can't get enough of, get lost in the pages. Listen to songs that cause a stir in your soul and feed that extra special pumping of your blood. Want to wear that new fancy frock on an ordinary Wednesday? Do it. I have a secret, no day is ordinary. Each day is a tiny yet crucial piece of your story. Dress like every day is a tea party. Why not? Don't save any of your favorite things for a rainy day, indulge in all the beauty and lovely aspects of your life right now. Today is the perfect day to relish in anything and everything that is whimsical, stunning, exquisite, delectable and charming. Take a different route to the grocery store. Listen to an entirely new genre of music you've never appreciated before, you might hear it in a fresh way. Don't be afraid to veer off the path you usually follow. Attempt a new recipe. Jump into a hobby that makes you feel overwhelmed and a little unsure. Open your heart to new possibilities and watch how things change for the better. Looking forward to the future always seems to assist me in times of distress. It can be anything. Something as small as meeting a friend for coffee in a few days, to allowing yourself to daydream about a trip that would happen several months in the future. You can start small and work up to a more grandiose scale as the fog of your funk begins to lift. Be honest with yourself. Let yourself be raw, if only for a few moments. Surround yourself with people who are truth tellers and geniunely care about your reality. The ones who appreciate it when you tell it like it is, but can also offer you tough, albeit gentle, love when they recognize you need it. How do you get yourself out of a funk? Do you have tried and true remedies you go back to time and time again? Share them in the comments. I'd love to hear them! Blogging has been so good to me. The more I put in of myself, the more benefits I see and feel. The community, the connections, that peace when you've properly expressed your story and your struggles. Finding hope in obstacles of all types, whether they are my own or someone else's. November 30: If you wrote your memoir, what would the title be and why? I can't wait! I know it is going to be such a fun challenge. I would love for you to join me! I am adamant about focusing on the good right now. It is all around and I will cherish it with every last little bit of me. Some days I have to fight for it harder than others, but I know it is always within my grasp. I'm essentially supposed to be on bed rest; which who knew, is so much more frustrating when you aren't pregnant. My appetite has disappeared while my lymph nodes in my neck are getting more painful and swollen by the day. I'm ready for answers, or at least some direction as to where we go next. Eight days until my appointment with the ID (infectious disease) transplant specialist, but then again who is counting? My friend Sierra's EBV and CMV morphed into cancer and she is one of my daily inspirations to stay strong and positive in hopes my immune system can keep all this at bay and avoid more medical fun, such as chemo. What is shaping up to be a killer fall twenty thirteen playlist, which begins with Tom Petty's You Don't Know How It Feels morphing into Brett Dennen's Wild Child. Easing into the day with Almost Famous. The wake up call that I can let myself enjoy my favorites of everything right now. Never postpone joy. Take it right now. Life is now! This is it. The pristine perfection of nature on my Dad's birthday. This is one of our favorite spots in the Utah mountains. This summer earned the now everlasting name of Mermaid Lake. My dad is such a remarkable man and an even better human being. He is filled with such divine love for everyone that he spreads patience and kindness wherever he goes. More and more every day, I appreciate his peace with life and this crazy universe. In his time, he has been through heavy heartache that would surely destroy most people. Yet he reminds me with gentle urgency to take the lesson from every tragedy and turn it into spiritual growth. There has been a tremendous amount of kindness these last few weeks from family we've known forever and new friends we have only met this year. I honestly believe that one of the biggest lessons in life is learning to accept kindness and gracefully realize when you need help. Oh, it is so hard for someone like me, but I am learning. It is a great, fabulous, and wondrous thing. Yesterday was 19 glorious years since my kidney transplant. 19 years ago yesterday my momma gave me life for the second time. 19 years ago waking up in ICU and eating mashed potatoes, I never would have predicted I would be where I am today. Yes, these past few weeks have been a beast at times, but I'm striving to hold tight to the millions of miracles that have brought me right into the midst of my wildest dreams. Where I am learning the most beautiful notion, to love and be loved in return. On that 19th anniversary of my kidney transplant, I reveled in the whimsy of this chameleon plate I've been coveting forever and the victory of a prescription for B12 shots from my fantastic primary care doctor. I will do them every two weeks and I feel lucky this is happening. It is easy to be grateful when everything is going your way in life. The real magic comes when you can find the hidden treasures in the brokenness. How about you? How do you find beauty in your own brokenness? I would love to be inspired by your thoughts! Be Careful, Be Fearless, Be Honest. While observing her, I admired her boots she wore every day to the hospital. She seemed so put together from afar, every morning as we boarded the shuttle bus to the grounds of NIH. By the time my experience there was over, I learned her reasons for being there. She had tumors all up and down her spine that were killing her. She was out there in hopes of lengthening her time here, even by a little bit. I don't know if she is still alive. I have thought of her so often over the course of the last two years. Her poise up against something so brutally unfair, her strength in continuing to fight up until the very end, her kindness that practically radiated from her through her heartbreak. 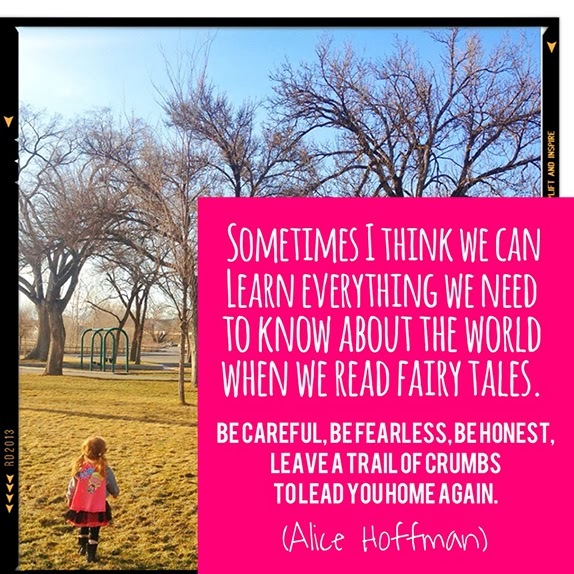 about the world by reading fairy tales. Leave a trail of crumbs to lead you home again. The most incredible thing about my whole kidney transplant experience is that my mom's kidney has always worked beautifully. In the 19 years since the surgery, I've never had an episode of rejection. That practically never happens. I've definitely had many obstacles and other complications related to transplant, but they have been diabetes from too much prednisone and problems with infections because of a weakened immune system. Last Friday my nephrologist (kidney doctor) told me that Epstein Barr is again active in my system. I was 95% sure that is what was causing everything that has been going on with my lately, including but not limited to my extreme exhaustion. Epstein Barr and I are old friends. My doctors believed it first came from my mother's kidney. It has been causing me extreme stress on and off over the last 19 years. It is a complicated thing to explain quickly and precisely, but I've had many ask me about it lately and I wanted to write it all down for my own sanity and to assist others. When you have any kind of organ transplant, you are required to take immunosuppression drugs which lower your immune system so that it doesn't attack the newly transplanted organ because it recognizes it as a foreign object in your system. 99% of the time, you have to stay on these anti-rejection drugs for the rest of your life. The majority of the time, these medications are a crucial part of a successful transplant. In my case? I had to taper these medications slowly until I wasn't taking them at all, in order to prevent me from ending up with lymphoma and possibly losing my kidney as well. Let me back up a little bit. For years I was extremely sick with EBV and CMV. Two viruses that caused absolute havoc on my body because my immune system wasn't strong enough to fight them. Simple tasks left me completely and utterly exhausted; I would shower for a day of junior high and end up in bed for the rest of the day, unable to do anything else. The lymph nodes in my neck would swell and sting constantly, I lost my appetite completely and was nauseous all the time. Headaches, fevers, chills, sore throat, swollen and painful spleen. There were hospital stays that lasted weeks, PICC lines (kind of like an IV that is more permanent) on two different occasions to administer heavy duty antibiotics, CT scans every 3 months for years to keep an eye on my lymph nodes to make sure I didn't have lymphoma. I had my tonsils and adenoids removed as well to see if that would help. All of this during my early teenage years. The best part of all this? A long term side effect was kidney damage. After numerous conversations and meetings between my pediatric nephrology team and infectious disease doctors, it was decided that ultimately we had to taper off all my medications that suppressed my immune system in order to give it that boost to fight off both EBV and CMV enough so that I could function, not in constant worry of developing lymphoma. I held my breath and hoped at the very least I could get everything under control, even if it meant losing the kidney my mother so graciously gave me. It was one of the scariest times in my life; it felt like a horrible, terrible gamble on all accounts. Probably because it was. One of the million of miracles in my life is that everything worked out great. I didn't have any episodes of my body rejecting my kidney, even with the decrease in meds. Even when stopped completely it was as if my body thought, "Yes, we know this kidney...it is a part of us. We are family." I don't know of another kidney transplant recipient who has been able to stop taking anti-rejection drugs without serious consequences. I am so unbelievably lucky in that aspect. It has been over 10 years since all of this happened and my kidney function has remained magnificent throughout it all. I haven't been hospitalized because of EBV or CMV either. Last fall I dealt with EBV and my nephrologist (kidney doctor) wasn't sure what to do...so we kind of let it ride it's course. I type that nonchalantly, but it was hell. And here I am again, a year later with all of it active again and very little answers. It feels worse this time than last year, particularly the fatigue and the pain in my lymph nodes in my neck. My nephrologist is confused and doesn't know what to attempt because hypothetically, my immune system should be strong enough right now to keep the virus under control so it isn't making me feel so terrible. She has referred me to an infectious disease doctor because my case is not common. However? The fabulous ID people cannot get me in until October 28th. I let frustration rule because of this for a few days, then yesterday? Yesterday I woke up ready to move forward, even if I had to do everything myself. I started calling, emailing, reaching out to people who treated me way back when I was 13 and beginning this specific roller coaster. Within 2 hours I had replies from 2 different doctors I trusted, one local and one an expert in all of this. One opinion is that I need to have a biopsy of the lymph nodes in my neck in order to be positive about what is going on. I've also been researching two other potential treatments that have me hopeful. And here is the thing; today I took a bath with Sookie with a dragon's egg bath bomb from LUSH, I watched as family and friends celebrated the soon arrival of a new little being named Hazel, I laughed at little girls wearing frilly dresses while playing in the dirt, I witnessed Sookie's eyes light up with fascination as she watched Timmy the Turtle creep around on the grass, I was grateful for a b12 shot and the assistance it will provide my body, I clapped with glee as I sat in our cozy house watching crazy awesome Utah Utes fans storm the field as we upset Stanford. So, whatever comes next? I'm ready for it. What if tomorrow isn't too late? 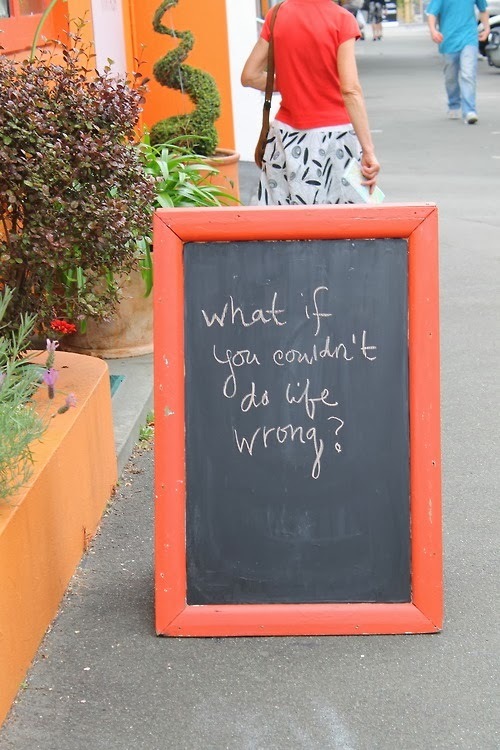 What if today is just right? What if you are exactly where you are supposed to be? What if at this very moment, you are stronger than you have ever been? What if we actually choose our obstacles because we know we will learn the most from our particular ? What if you pushed yourself out of your comfort zone? What if you were your own biggest cheerleader? What if we all realized that we are capable? What if we loved out lives, every last bit of them? What if, even in the toughest of times, we gave all the power to the good stuff? What if laughter healed it all? What if we forgive each other, every single day? What if we all reached out a hand instead of a judging glance? What if the more difficult our lives, the more we make an effort to give back to others? What if you embraced each day for the beauty it is? What if you cherished each breath for the sweet, glorious gift it is? What if tomorrow is the first day of the rest of your life? What if you have more control over your reality than you realize? What if the power to catch your dreams is within your grasp? What if kindness became a universal language? What if we all became truth tellers with our realities? What if we shared our stories in the most brutal and beautiful way? What if we recognized how precious this life is? Ah, Wednesday. You've been interesting this week! The complexities and absurdities of life never cease to amaze me. Linking up with Shannon for So What! Wednesdays. Some health obstacles have all but forced me to slow way down this week. It is a life long lesson of mine that sometimes we are at our strongest when we are at peace with being vulnerable. Joni Mitchell's River will always remind me of that scene in Almost Famous when William thinks he is introducing Russell to Penny Lane for the first time. Except that there is so much history in their handshake, it literally makes you ache. 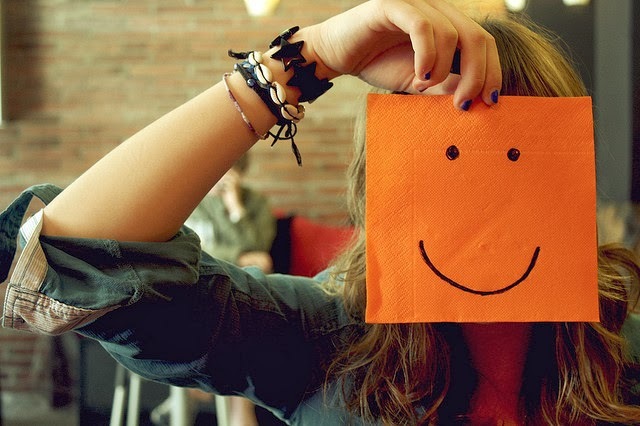 I'm realizing happiness is something you work at, every single day. I started Christmas shopping last month. I am filled to the brim with holiday cheer already! Our October is shaping up to be as busy and as chaotic as our June always seems to be. I love what this means; birthdays, baby showers, parties, life, life, LIFE in all of her beautiful, big, celebratory glory. It feels good. A few weeks ago, we had lemonade and cookies with a giant green caterpillar and a teeny tiny itty bitty snail. My life is bizarre sometimes...but so awesome. How about you? What are you saying "So What?" to this week?